Pure Plant Shampoos and Color Conditioners enrich color by neutralizing or adding tones in five plant inspired shades. Adds silvery brightness to gray hair, and neutralizes brassiness in chemically-treated hair and all shades. Blended with blue malva that’s wild-crafted-sustainably gathered by hand in its natural habitat-to balance hair and scalp, plus coneflower, known for its ability to intensify color. Brings out cool, deep tones in natural and tinted dark shades and discourages the appearance of red or brassy tones. Contains organically grown aloe, black tea and emollient-rich black malva that’s been wild-crafted-sustainably gathered by hand in its natural habitat. Infuses brunette and black hair with cool, dark tones and diminishes red hues. Black malva helps provide moisture to hair, while black tea helps intensify deep hues and purify the scalp. Brightens highlights and illuminates blonde and lighter shades of hair. This gentle formula contains organically grown camomile, a pure and calming natural cleansing ingredient, and organically grown calendula, known for its soothing, nourishing properties. 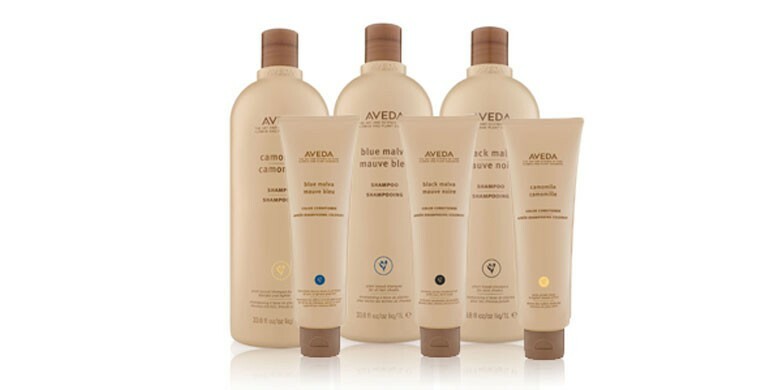 Adds golden tones to lighter shades of hair. Beta carotene enhances golden tones. Ideal for natural brunette and honey blonde tones. Made with organically grown clove, a detoxifying herb that also enhances warm tones and purify the scalp, and organically grown coffee, which enriches brown hues and provides astringent benefits to your scalp. Enriches warm tones in medium brown shades of hair. Restores warmth to chestnut, auburn and red tones in all types of hair. This gentle formula contains madder root, a natural scalp-purifying ingredient, and organically grown red clover, a mild yet effective cleanser full of pure plant nutrients. Enriches warm tones in dark and red shades of hair. Madder root helps purify scalp and hair; natural colors help add and intensify red hues.